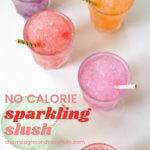 I’ve always loved a great sparkling slush. When I was a kid, I had a couple of different snow cones machines, and I sure loved using them during the summer. I had one that was shaped like Snoopy’s dog house; Snoopy was sprawled on top of the house and the entrance to the house is where the ice would come out after it was crushed. Then I could flavor the ice however I wanted to. And voila! I had a delicious slush! Do you love a great #snowcone or #slushie? 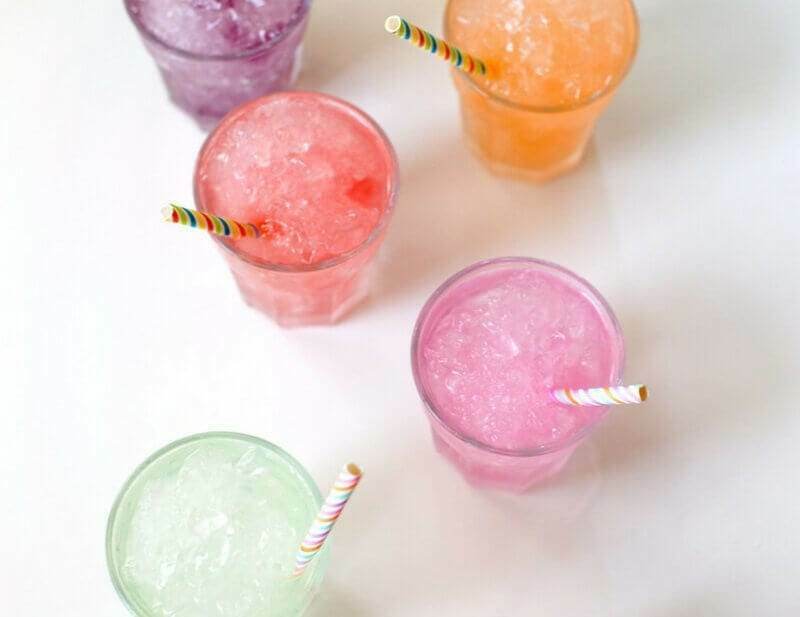 Our sparkling slush #recipe is so simple and has NO calories (unless you add alcohol). Now, I’ve got a blender, but whenever I make a sparkling slush, I always smile to myself thinking about that charming Snoopy snow cone maker. The blender is great, but it’s just not quite as much fun. But, I still get to have a good time these days, because I can make so many flavors of slushes. AND the have no calories! Whether you call it a slush, a slushie, or a snow cone. They all taste great. 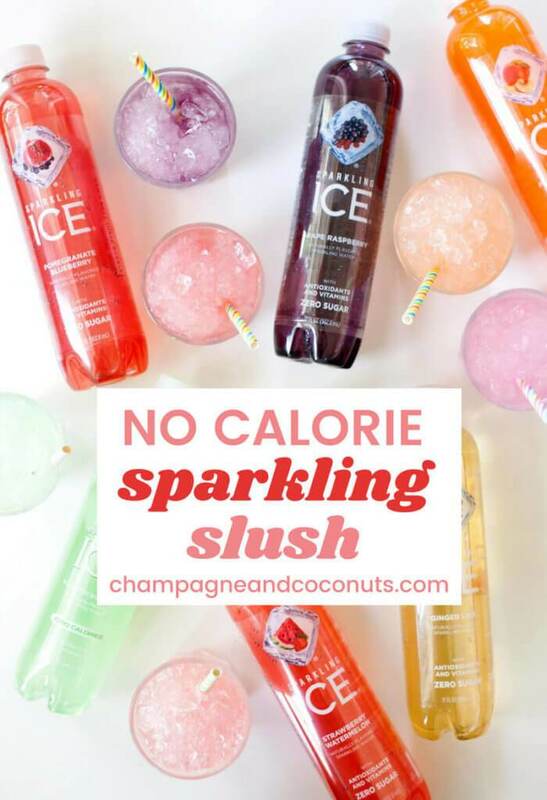 And you can save calories by using Sparkling Ice to add the flavor. I’m a big fan of reducing calories wherever I can, and Sparkling Ice is one of my go-tos for adding some no-calorie flavor. The ingredients are really simple. In fact, there are just two — Ice and Sparkling Ice. It doesn’t get much easier than that. Note: If you’d like to make this a slush with alcohol, you can easily mix in your favorite liquor. I like using something that is clear like vodka so it doesn’t alter the color of the slush too much. Just note that it will still be a low-calorie refreshment, but it will no longer be zero calories. It’s so easy. All you need is a blender and your cup. You may need a spoon if you decide to get fancy and layer flavors. Blend ice cubes on a medium speed for a few seconds or until desired consistency is reached. Place in a glass and use your favorite Sparkling Ice flavor on top. Place ice in blender. Crush ice on medium speed or pulse until it reaches the desired consisitency. Pour Sparkling Ice on top. If you like it thick, use less Sparkling Ice. This is best if serving as a snow cone. 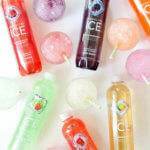 If you like it more like a beverage, use more Sparkling Ice. Please note that nutrition information may vary with your choice of ingredients should you make a substitution. 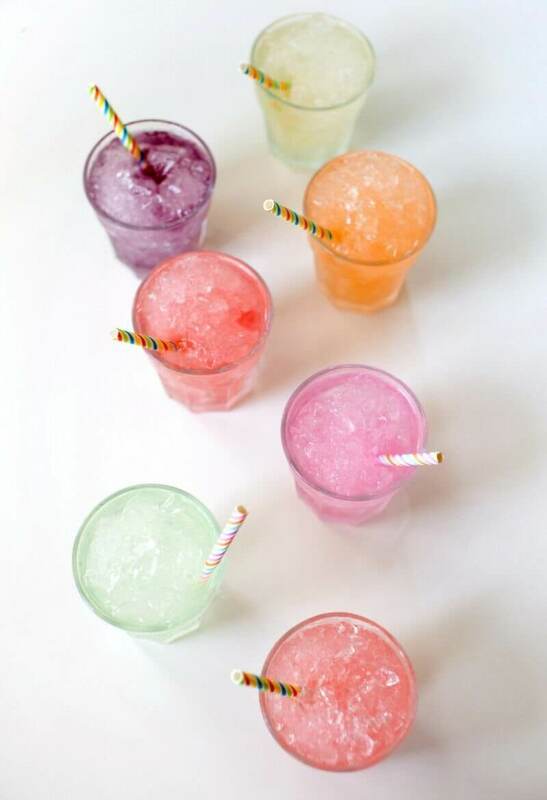 Please let us know how you enjoy our Sparkling Slush recipe. If you make it yourself, please let us know on Pinterest that you tried it and tag us with #champagneandcoconuts on your Instagram photo. If you haven’t had a chance to make it yet, be sure to save the recipe on Pinterest so you’ll remember where you found it. 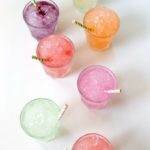 You may enjoy following our Pinterest Board, Low Calorie Cocktails, too.